Asset recovery is about maximizing the value of any and all industrial assets including but not limited to Rolling Stock, MRO inventory, Shop Tools, Production Machinery, Process Equipment and much more. For many companies, it typically involves capital assets like equipment or tools and inventory by means of MRO equipment and parts. Investment in these items goes beyond just the price tag, with the high cost of warehouse space to store surplus equipment and parts, and potential tax benefits from inventory write-down properly managing these items is more important to a business's success now than ever before. With more and more industry leaders embracing industrial asset recovery, many new companies are questioning what they need to do to kick-start their own asset recovery strategies. While each strategy should be uniquely tailored to your company and industry there are several staples that are a constant across industrial asset recovery. 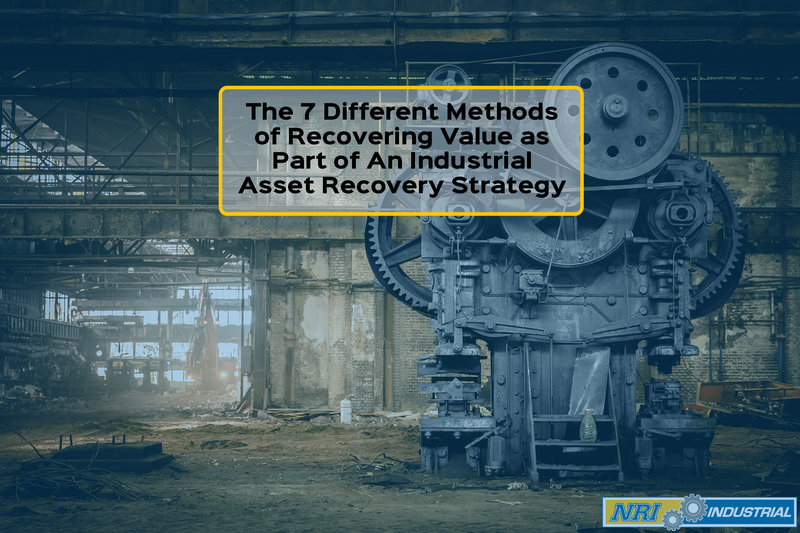 In this blog, we will be examining the different methods of recovering value from used equipment as part of an industrial asset recovery strategy. Contrary to popular belief in many asset recovery circles, asset recovery is not something a company can suddenly opt-in and turn on and off at the whim of the company. 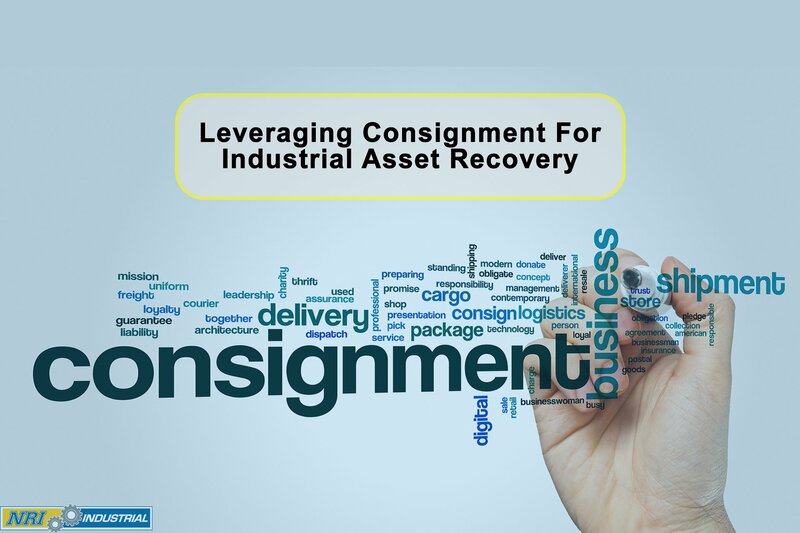 Asset recovery is a process of optimizing the value out of industrial assets. While many people believe to correctly manage surplus you either scrap it or sell it to the local junk buyers, the truth is there are many options to maximize the value. A proper asset recovery strategy when implemented is like an express train, working its way down through the process, and not like a taxi cab jumping from location to location trying to find new opportunities. One important feature to note as you go through the different methods the potential return on value goes down. Reuse refers to putting that same piece of equipment to use without modifications. Reusing or redeploying an industrial asset allows companies to continue the usefulness of the piece of equipment, part or tool. The asset may even go to a different branch or be used in a lesser capacity. Continuing earning on the initial investment - Companies do not see a financial return on equipment that is not in use. Putting the equipment back into production allows the equipment to provide value to the business again. Potentially saving money that might go toward purchasing a new asset. If the equipment is taken off the floor because it needs repair or overhaul, a replacement is necessary to fill its place. By reusing the asset or equipment into action, businesses save money that would go to filling the void. Finding ways to use older equipment opens the door for newer equipment to be used or stored for another time. The downside to the redeployment strategy is that it could lead to equipment break down, slowed production and could cost the company time and money if further repair becomes necessary. In some cases, the asset might be reusable but require reconditioning first. Reconditioning means putting the asset back into service after it undergoes maintenance either for the intended purpose or to cover a new role. It’s possible this would be the preference of many employees. It takes time to learn how to use a new piece of equipment or to get comfortable with a new tool. Refurbishing the old asset is less expensive than replacing it, too. Before purchasing a new asset, consider surplus tools and equipment to see if they could work as a replacement with modification. What is the cost of updating or revamping an older asset? Is it more worth the expense when a new piece might be more efficient? Is the newer version of the equipment worth the money? Companies that never update their assets diminish their overall value. Buying new might improve productivity and, overall, save time and money. Many vendors offer buyback programs for older equipment. They can take the older asset and find a way to recover its value themselves, such as reselling it. The option will not apply to every asset, however. There may also be limitations on the offer, as well. For instance, a tool that has been refurbished already or equipment with off-market replacement parts might not qualify. Check with each vendor to see what buyback programs they provide and what the rules are, so when the time comes to trade equipment in or send back surplus that should not have been purchased in the first place, you can leverage that option. Consider the option carefully, though, because the only one that really comes out ahead in this scenario is the vendor. This is an effective way to get some return on the asset, but the vendor is likely going to sell the equipment themselves or its parts and make money. They are doing something you could do yourself to recover the asset. Business who go this route should take the time to check the market value of the piece to ensure they are getting a good deal from the vendor. Chances are there are more profitable recovery options open to you. Believe it or not, for every one piece of surplus a business has there is someone out there looking to buy it. Companies with equipment that does nothing but gather dust can put it up for sale and recoup some of their investment. 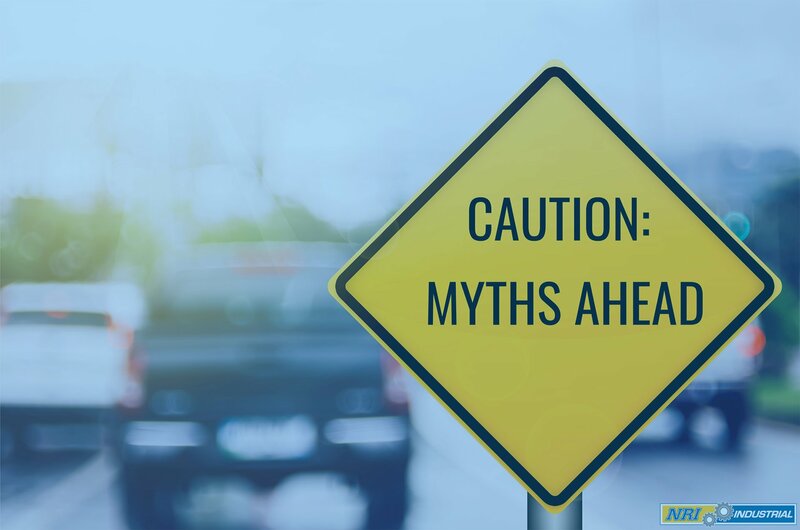 It’s a common myth that industrial equipment has no resale value. Overseas companies might look to purchase a used asset or a start-up that doesn’t have the funds for the newest version of a piece of equipment will look to the resale market to get what they need. Resales options are available in multiple venues. 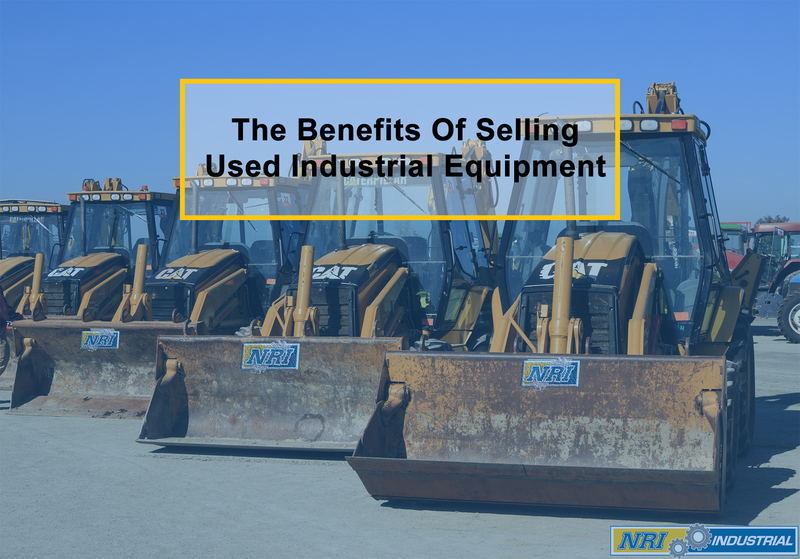 The business could advertise the used piece for sale on an industry site, for example, or put it up for auction on a platform that deals with used industrial equipment. Know what you are talking about before listing an item for sale. It there a demand for the equipment? What is the current market price and how much has it fluctuated over the last year. Some types of equipment will sell for more money during certain seasons. What time of year is this equipment in high demand? How does the equipment compare to modern versions? 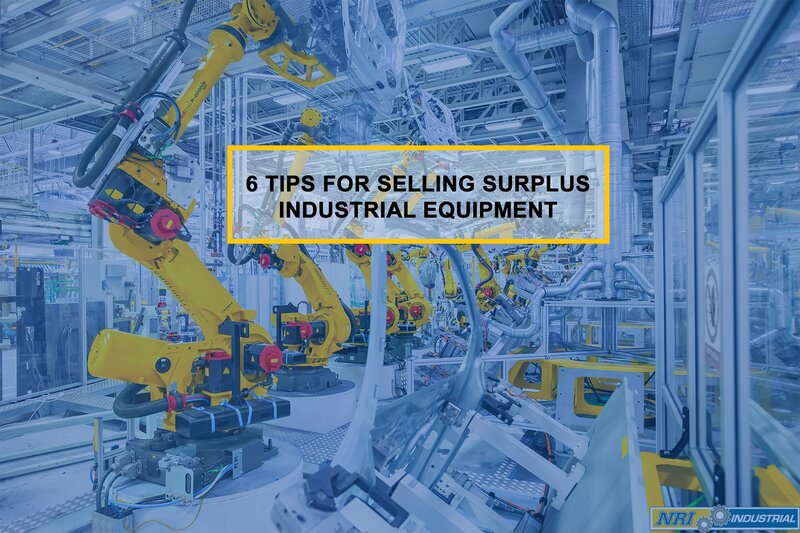 Keep an itemized catalog of your surplus equipment and include crucial information you need should you choose to sell like current market values and initial investment. It’s important to note the location of the piece, as well, so you can factor in shipping costs if necessary. Get the equipment ready to sell. Make sure it's clean and working at peak. Selling a broken asset will interfere with your ability to resell anything in the future. Treat the equipment like you would a car you were trying to sell and make it appealing to buyers. Selling industrial equipment does not happen by accident. Companies will have to dedicate time and personnel to marketing the piece and handling the transfer. It will have to be someone familiar with both the resale process and the piece of equipment to ensure you get the best return, too. Reclaim is like parting out a car. By reclaiming working parts or sections of equipment, you get replacement parts for other similar machines. Reclaiming is a cost-effective way to save money on replacement parts and still see some return for the asset. Although reclaiming seems like a practical approach, it doesn’t fit every situation. Often parts from industrial equipment have a specific purpose. Trying to use parts from an older model of the equipment on a newer one or for a different brand can backfire and end up costing you more in the long run. The asset is no longer taking up storage space. The donation may have a tax benefit. Donations are an effective way to create positive PR within the industry and the community. It could lead to free marketing from the non-profit, too. They might show the brand logo on their website, for instance. Of course, the financial return on a donated asset will not compare to the initial investment. Recycling also means getting less capital back then other recovery options will offer like resell or reclaim. Removal is the last and least cost-effective option for asset recovery. As the name suggests, it simply means moving the equipment or tool off the premises, so it no longer takes up space. In most cases, it refers to junking the asset, or selling the asset off for scrap metal. If you determine that the surplus items have no real value in any of the other options this is the most likely choice. The asset is just taking up space at this point, so removal opens some surface area the business can use in other ways. Asset recovery takes effort and more time than some companies can spare. Today, business have options, though, ones that didn’t exist 20 years ago. Outsourcing asset recovery to a firm that specializes in it will free up personnel and help businesses maximize their investments. What should you look for in an industrial investment recovery firm, though? Results - Look at the firm’s history. Do they offer case studies detailing their success rate on their website? If so, they are proud of the service they offer their clients and the benefits they provide. Self-promotion is critical to any business but by taking the time to showcase a case study, they are proving their worth with actual data. The asset recovery firm should also be someone you can build a relationship with and use in the future. Asset recovery is always something businesses need, so finding a company that returns your calls and communicates with you openly matters. NRI Industrial provides turnkey industrial asset recovery solutions including asset liquidation, consignment services, decommissioning and equipment purchase. We believe in giving our clients flexible strategies based on their specific business needs. Want to learn more about how we can help your business? Give us a call at 1 (855) 709-9813 or email at solutions@nri-isd.com and our team will be more than happy to answer them.